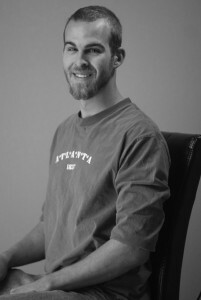 Our Craftsmen - Hatter & Sons Inc.
After attending James Madison University and obtaining his Bachelors of Science in Accounting, he worked as a staff Accountant for Theresa B. Hunt, CPA in Waynesboro. His love for numbers and accounting theory was quickly surpassed by his distaste for the office life. “I hated being stuck in an office” Philip says. After realizing that this was not his path, and some motherly advice from the accounting firm’s owner, he decided that an office chair was not where he belonged. Consequently, Philip returned to his love for building. In 1995, he started his own construction company, taking advantage of the robust local housing market. Aspiring to once again work with his father and brothers, he named the new company Hatter and Sons. Initially, Hatter and Sons started out small, with just Philip and two or three journeyman carpenters. Immediately they became known for their quality high-end custom carpentry. Based on their growing reputation of excellence and dependability, many general contractors began partnering with Hatter and Sons to construct houses with complex floor plans and roof systems. By the mid 2000’s, Hatter and Sons was not only working for independent homeowners, but they were held in such high esteem that several general contractors in the Wintergreen Resort area would subcontract construction of the entire house to them. As they grew, they began to expand their services even more. By 2004, Hatter and Sons was licensed to perform Electrical and Mechanical (heating and A/C) projects which allowed them to offer a better value to their clients. Philip says, “There is nothing about construction that doesn’t fascinate me. If time would allow, I would learn and perform every aspect of building; it’s a passion fettered by reality”. Whether building a new house, remodeling a dated kitchen, or performing rot abatement-Hatter and Sons simply offers a better service through experience “My small crew has over 260 years of experience collectively…and you can count us on two hands. Do the math” says Philip. Their extensive amount of experience has enabled Hatter and Sons to not only learn from their own mistakes, but those of others before them- “There is no substitute for experience…period” says Warren Hatter (Philip’s father). Dependable. Reliable. Responsible. Hatter and Sons has been in business since 1995-“…through good times and bad. We’re still here” says Philip. It is a testament to their success that since their inception over 18 years ago, they have had only a few weeks off cumulatively- “We work every day, all day, all week” says Philip. Their secret to success? Unswerving ambition for honesty, transparency, and fair dealing with each of their clients- coupled with their commitment to offer the highest end product at a reasonable price. Today at Hatter and Sons, Philip and his brotherhood of craftsmen are ready to help you with any of your new construction, home remodeling or light commercial renovation projects. You’ll even still see Philip’s 82-year-old father at construction sites, helping out with light duty tasks and material procurement. “The man is unstoppable. He has my deepest admiration.” Philip says with a smile. Ben Hatter is one of the Hatter brothers and part of Hatter and Sons brotherhood of craftsman. Much like his younger brother Phillip, the founder of Hatter and Sons, he has also spent his life building with the rest of his five brothers and their father. He has turned this heritage of craftsmanship into over 42 years of professional construction experience. During which time he led his own remodeling company for a season, where he was recognized for his capable, skilled and contentious project management skills. For the last 19 years he has combined his multi-talented expertise with Hatter and Sons. bathroom and kitchen remodeling, Ben is also Hatter and Sons resident handyman. He operates as project overseer when the owner is not available. At Hatter and Sons, he is known for his optimistic attitude, unchanging support and his ability to conduct daily operations effectively and efficiently. Ben’s many years of experience in all forms of construction work and oversight, keeps projects flowing smoothly within their proper timeline. His attention to detail plays a key role in the success of Hatter and Sons project management. Ben is an open-minded, assertive, and protective leader of the Hatter and Sons team. This creates an environment of happy and productive team members, which benefits the property owner as well as the crew. Also, Ben has an out-going personality and an effective communicator; this plays a huge role in maintaining customer satisfaction. Ben Hatter and the Hatter and Sons brotherhood of craftsmanship are the best choice in the Wintergreen, Virginia area, for new building construction, home remodeling or light business renovation. Contact the best in expertise and leadership, call 540-569-6351 today for a consultation. Lives in Stuarts Draft, VA.
Seth Hatter marks the second generation of sons at Hatter and Sons. Seth is the nephew of Hatter and Sons founder, Philip Hatter. He has kept the tradition of superior craftsmanship alive, having been on construction sites since he was just a toddler. He has worked over seven years professionally in the construction field and has been with Hatter and Sons for more than the last three years. and an asset to any project. Seth is a licensed locksmith. He also specializes in building framing, installing siding, performing rot-abatement and building decks. He approaches every project with his courteous, friendly and respectful attitude. Seth is set apart by his dependability and reliability, which makes every project even more cost efficient. Seth Hatter and the rest of the Hatter and Sons brotherhood of craftsmanship are the best choice in the Wintergreen, Virginia area for new building construction, home remodeling or light business renovation. Contact the best in expertise and leadership, call 540-569-6351 today for a consultation. 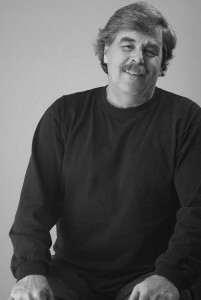 Brian Donnelly has a professional history of 37 years in the construction industry. With such a long and outstanding background he brings a high level of diverse experience to the team of Hatter and Sons. However, his laid back and positive disposition is a welcome addition to moral on every job site. 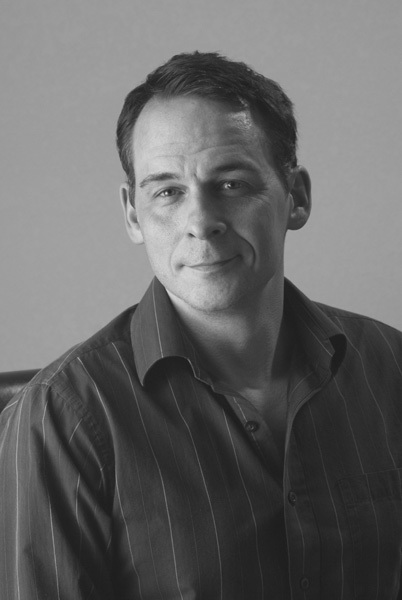 a natural leader, Brian communicates well with both his colleagues and the clients. This is demonstrated by the fact that he is always respectful and supportive to other’s ideas and requests. Brian promotes a productive environment on every job site with his friendly, eager and dedicated attitude. He is a calm and productive influence on every project, as he never complains or grumbles. 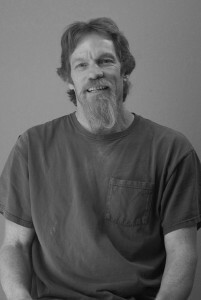 Brian is a talented craftsman with an extensive electrical background. His specialties also encompass bathroom and kitchen remodeling, carpentry, performing rot abatement and painting. 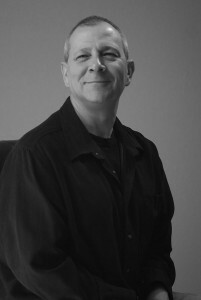 Brian Donnelly is an expert craftsman and is ready to assist you with your building project. Brian, along with the rest of the Hatter and Sons brotherhood of craftsmanship, are the best choice in the Wintergreen, Virginia area for new building construction, home remodeling or light business renovation. Contact the best in expertise and leadership, call 540-569-6351 today for a consultation. Lives in Lives in Piney River, VA.
Carl Parr is one of Hatter and Sons most experienced craftsman as he has been working in the construction field for more than 45 years. Carl is one of two master carpenters on staff at Hatter and Sons. With his many years of experience he can do almost anything with wood. However, his specialties are: framing structures, installing siding, installing cabinetry, building decks and porches. His preferred project is interior trim work. him an ideal leader to supervise any jobsite or project. Carl has been exposed to all facets of building and could easily build a house from foundation to finish with only one or two helpers. His determination is proved by his history of hard work. For example, he has worked on or built hundreds of homes in the Nelson County and Wintergreen areas. Considered the ‘Gunny Sargent’ of our crew, Carl gets along with everyone but has a gained a healthy respect from the team because of his wisdom and abilities. He loves to laugh, is friendly to everyone and is easy to get along with. However, when he believes in something he is unmovable, assertive and will stand behind his word. Carl Parr is extremely knowledgeable and ready to assist you with your building project. Carl, along with the rest of the Hatter and Sons brotherhood of craftsmanship, are the best choice in the Wintergreen, Virginia area for new building construction, home remodeling or light business renovation. Contact the best in expertise and leadership, call 540-569-6351 today for a consultation. Carlos has been in the construction field for 13 years. His specialty is remodeling bathrooms, and is our resident tile and flooring expert. He also has experience in framing, trim carpentry, and painting. He has a strong desire to learn as much as he can about construction, is inquisitive about proper procedures, and even for a young man has developed strong leadership skills. He is a good listener and follows instructions well. with everyone on the team and once I assign him a task, I feel confident that it will be done properly. 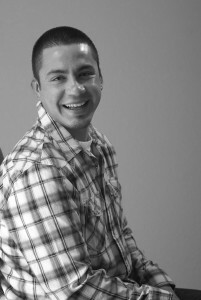 Adjectives that describe Carlos: Courteous, hard working, responsible, enthusiastic, open-minded, has poise, patient, committed, reliable, and has a fun outgoing personality. Contact the best in expertise and leadership, call 540-569-6351 today for a consultation.